It was yet another dramatic night for India in Rio de Janerio with Deepika Kumari returned to doing what she does best - winning – and Manoj Kumar following it up with one of the biggest upsets of the tournament so far. Manoj ensured the half-month long celebration continues by spoiling the party of London 2012 bronze medallist, Evaldas Petrauskas of Lithuania, winning by a split decision in the Round of 32 of the men's Light Welterweight (64kg) category. The 29-year-old with a massive 11 years of international experience made the cut for the Summer Games after the Baku qualifying event. He put his bucketful of experience to good use as his excellent defence and counter-punching style meant the crowd favourite found it difficult to dominate the game. Perhaps most strikingly of all though, whenever the screen showed Indian fans in the stands, they applauded with a huge roar. Manoj was scratchy at the start but he was up for the challenge and landed some solid punches in the first two rounds. Although he lost the third round, courtesy a last-second blow, the judges gave the bout to him with a unanimous decision. That said, it was a tricky verdict since Petrauskas was almost equally good and landed some serious punches on a couple of occasions as well. 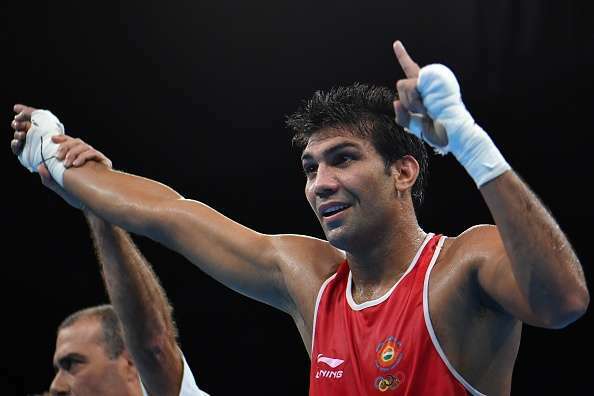 The Indian will next meet Fazluddin Gaiznazarov of Uzbekistan in the Round of 16. Deepika Kumari exorcised the demons of London in style by getting the better of World No. 8 Georgia’s Kristine Esebua 6-4 in the first round. She then outscored World No. 17 Italian Guendalina Sartori 6-2 to storm into the Round of 16. The archery team drew a blank in 2012 because of a flu that hit the team before the event and the wind that hit them during the event. But there was to be no repeat four years on in Sambodromo, with the former World No. 1 seeing off the challenges of two quality archers. The archer from Jharkhand was sensational and showed her class as she shot a series of 10s before finishing the Round of 32 clash with a perfect ten. Bombayla had earlier defeated Austria's Laurence Baldauff in the women's 1/32 individual elimination. With 'cool as ice' Atanu Das along with these two medal hopefuls through to the pre-quarter final already, the expectations of a first ever medal in archery have increased.